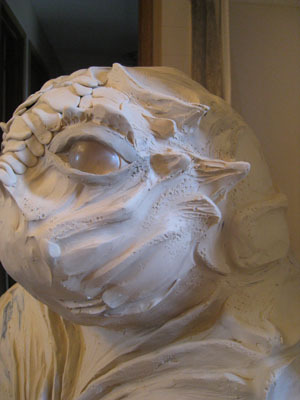 Komickrazi Studios - Temperance's Projects and Rants: District 9 Bunraku Cont.... did I mention...more sculpting! 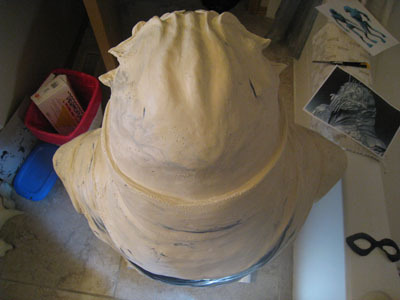 District 9 Bunraku Cont.... did I mention...more sculpting! Detailing the clay a bit more around the face... the pock marks were done with 5 toothpicks cut in half and taped together. 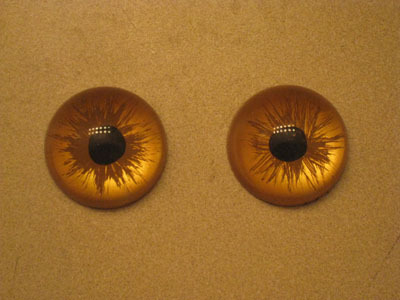 Also painted the eyes.. this was the easy part. Two 1-1/2" acrylic cabochons with the backs painted. I am ready to start casting, but I am hesitant to jump in. I will probably wait a few days and look at him again in case any details pop out that I missed.